Airlines are moving away from pricey first-class suites. But the ones that remain offer palatial settings and stunning luxury. Every year Skytrax names the airlines with the best first-class offerings. Airlines from Asia dominate the list. First class is slowly but surely going the way of the dodo. The palatial luxury suites that have come to epitomize luxury commercial air travel are being phased out. 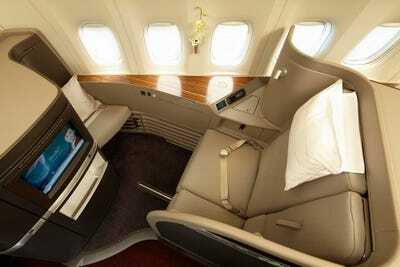 In their place, airlines have turned to more affordable premium cabins that are essentially spiffed-up business class. Newly introduced products like Delta One, United Polaris, and Qatar QSuite come to mind. Still, there are still plenty of airlines out there that operate stunning first-class cabins. Every year, leading aviation consumer website Skytrax compiles a list of the highest-rated first-class cabins in the world. The Skytrax rankings are based on the impressions of nearly 20 million travellers from 105 different countries. The survey, which covered more than 320 airlines, measured 49 parameters, including boarding procedures, seat comfort, and quality of service. As expected, airlines from Asia performed exceptionally well on this list, taking seven of the top 10 spots. Perhaps surprisingly, no airline from North America managed to crack the top 20. 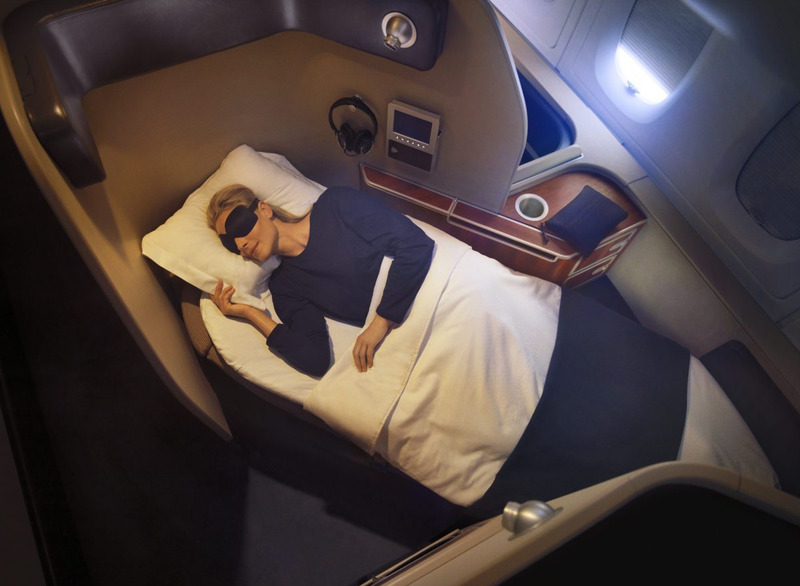 Here are the 10 best first-class cabins, according to Skytrax. Why it’s here: Those fortunate enough to fly to in Qantas’ first-class cabin will be treated to chauffeur service, complimentary spa treatments, a Neil Perry-designed gourmet menu, a 17- inch entertainment screen, and Martin Grant designer pajamas. 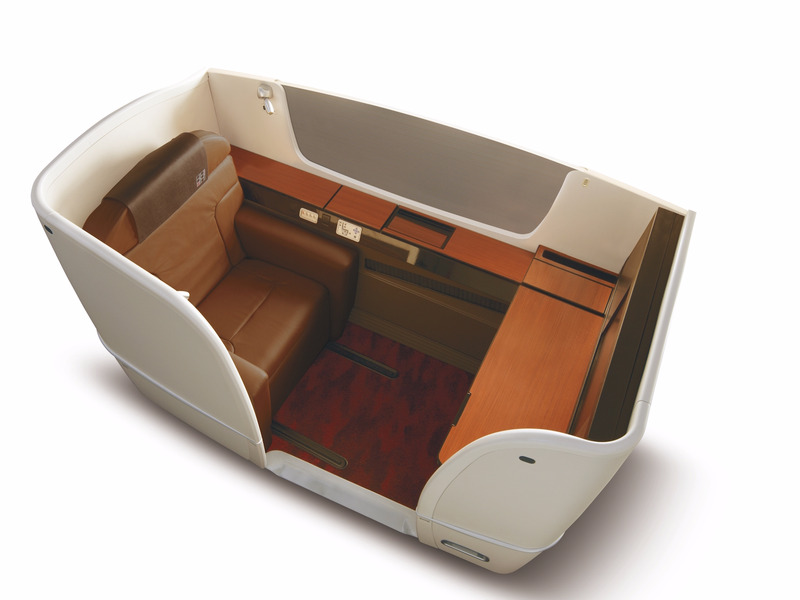 Why it’s here: Japan Airlines passengers are treated to private luxury suites with 23-inch entertainment screens, fine dining featuring both Japanese and Western cuisine as well as Porsche Design amenity kits. Why it’s here: Qatar Airways is the Skytrax Airline of the Year for 2017. 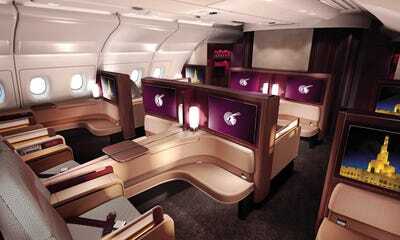 Its business class cabin was also named the best in the world. However, its first class service isn’t too shabby either. 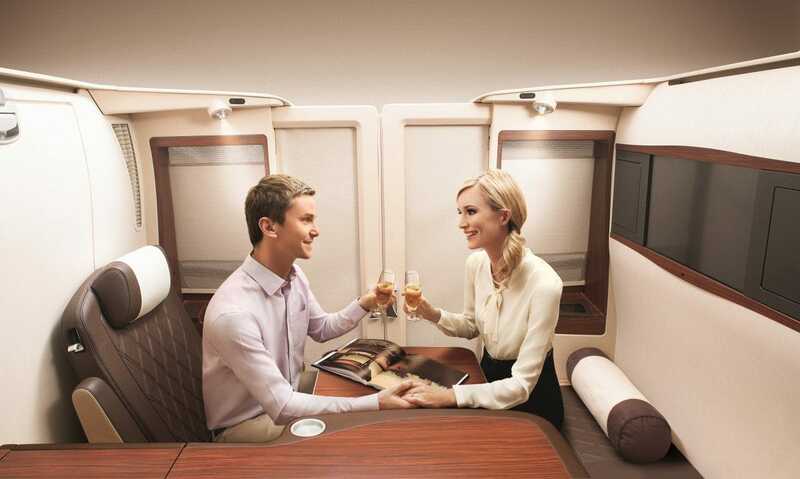 Flyers are treated to flat-bed seats, 4,000 entertainment options, and personalised dining. Why it’s here: Cathay Pacific first class passengers are treated to a host of luxurious goodies including 500-thread count cotton sheets, a Zegna amenity kit, Bose noise-cancelling headphones, and organic cotton pajamas. Why it’s here: ANA has long been considered one of the finest airlines in the world. And that certainly shows up in first class. The Japanese airline’s passengers are treated to the privacy of a secluded suite, Michelin Star-quality dining, organic cotton and cashmere blankets, Samsonite amenity kits, and a 23-inch LCD touchscreen. Why it’s here: Singapore Airlines is one of the few carriers with multiple first-class options that range from plush to who-needs-a-hotel-suite-luxurious. 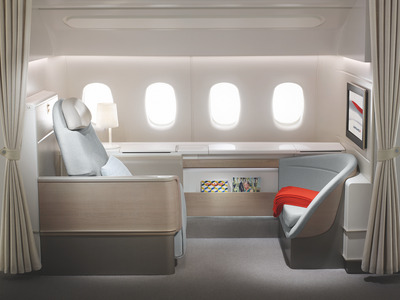 The airline’s standard first class features an extra-wide flatbed seat, a la carte dining, and a 24-inch entertainment screen. Step into a suite and its pretty over the top. Each passenger gets a private enclosure. Unless you don’t want the privacy, at which point you can link two suites together. Singapore’s newly unveiled A380 suites deliver hotel-like luxury with absolute privacy. 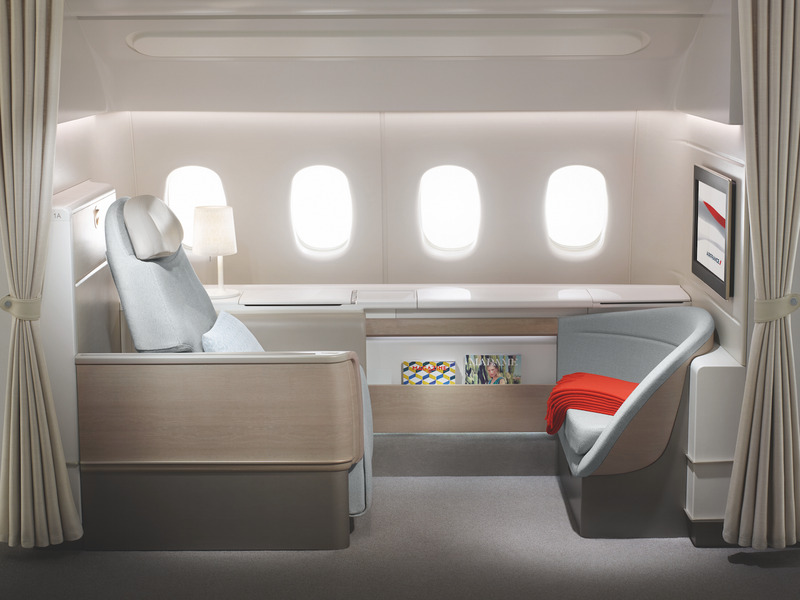 Why it’s here: Air France introduced its La Premiere first class suites a couple of years to rave reviews. So it’s not surprising to find Air France so high up on this list. La Premiere delivers on its promise of French style at 30,000 feet. Luxury goodies include in a six-and-a-half-foot-long bed, Carita beauty products, menus by a selection of renowned French Michelin Star chefs, and available transfers onto private jets for travel within France. 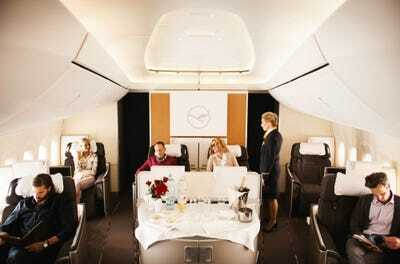 Why it’s here: Lufthansa is the most recent airline to receive a five-star rating from Skytrax. Passengers travelling in Lufthansa’s first class cabin are treated to fine dining, hundreds of entertainment options, limousine service, and use of a private first class terminal. Why it’s here: Emirates was 2016’s Skytrax Airline of the Year. Although it slipped a bit this year, the Dubai, United Arab Emirates-based carrier is still among the best when it comes down to delivering luxury. 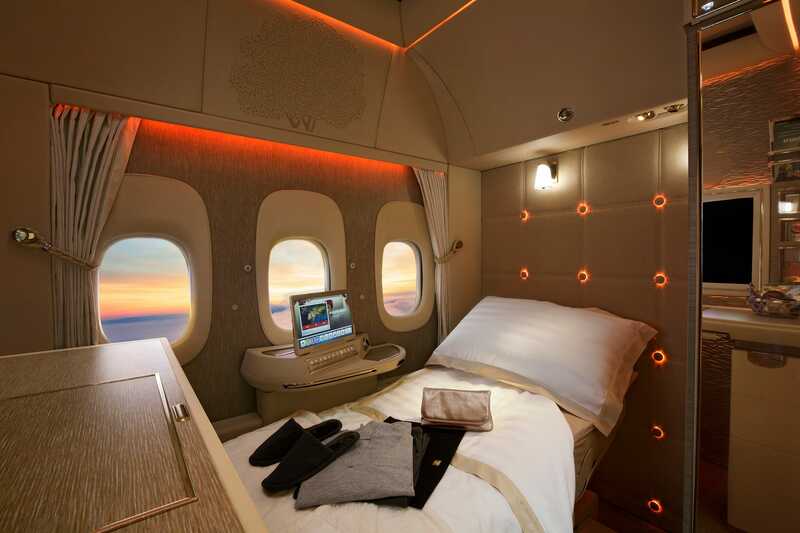 Its new first class suite, which entered service this month, features virtual windows, Mercedes-Benz inspired decor, 40 square feet of space, and absolute privacy. Why it’s here: Even though Etihad has had a rough few months financially, the airline’s luxury service remains top notch. At the top of the hill is The Residence, Etihad’s 125 square foot flying luxury home found onboard its fleet of Airbus A380s. The Residence features a living room, a double bed, a private shower, and the services a personal butler. 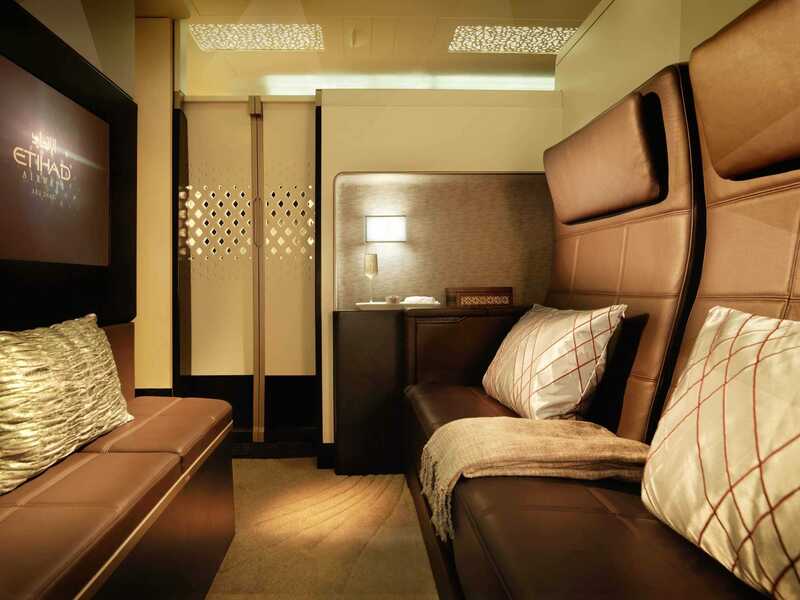 The Apartment is Etihad’s less extravagant first class suite. 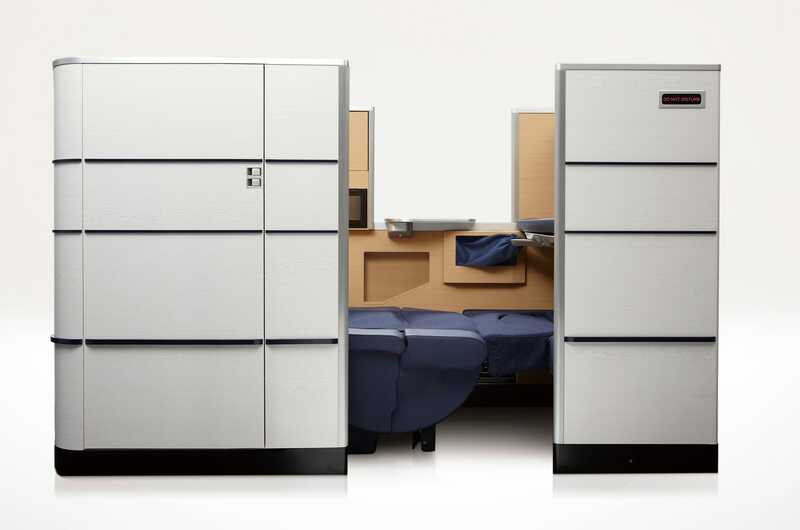 It delivers “just” 45 square feet of private space. 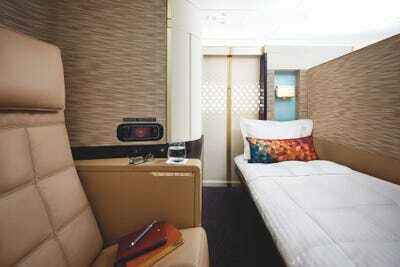 Those travelling on board The Apartment will also get access to Etihad’s in-flight showers and luxury lounge.